Lobster Fest – All Month Long! 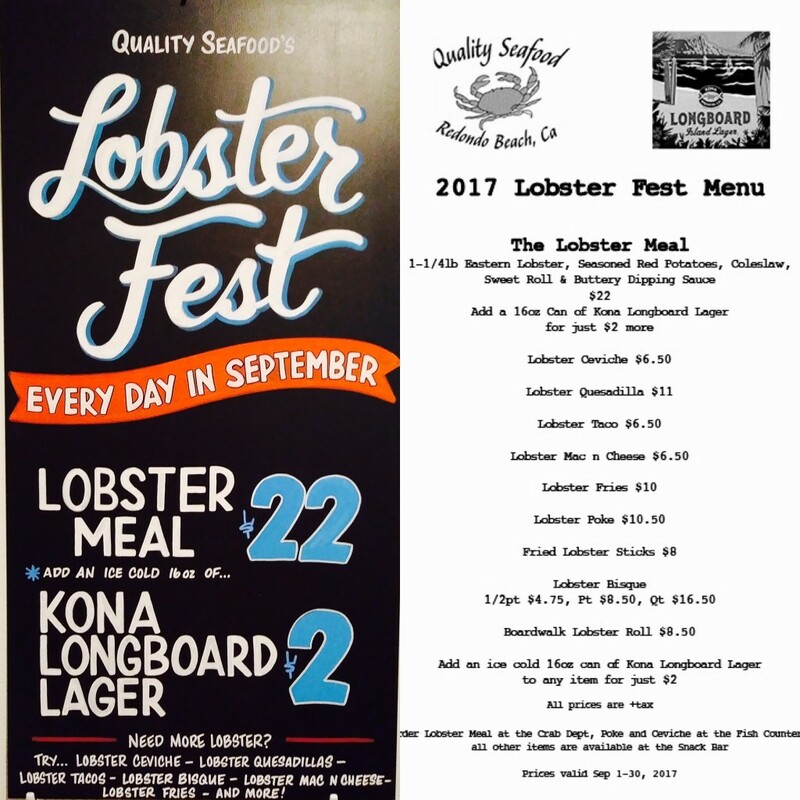 Lobster Fest is back and better than ever at Quality Seafood the entire month of September! And you can wash that all down with an ice cold 16oz Can of Kona Longboard Lager for only $2 more! !